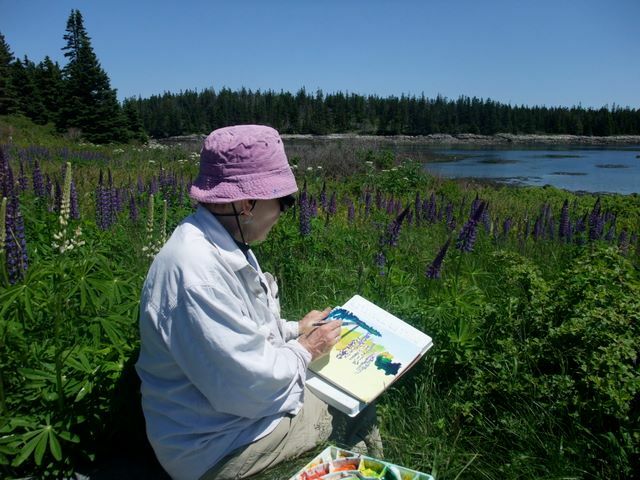 Enjoy the colors of India, Mexico and the magical West of Ireland - Here on my beloved Coast of Maine,their influence continues to inspire as I integrate the medatative writing process of Proprioceptive Writing with painting. A Day of Proprioceptive Writing. Artists, writers - non writers alike, anyone interested in creativity and life of the spirit will find this work encouraging, stimulating and satisfying. Suitable for beginners as well as those familiar with "PW".